To make way for new 2019 trucks, we need to clear our remaining 2018 and earlier plated stock. So there's never been a better time to own a legendary INTERNATIONAL, the truck brand that built Australia. 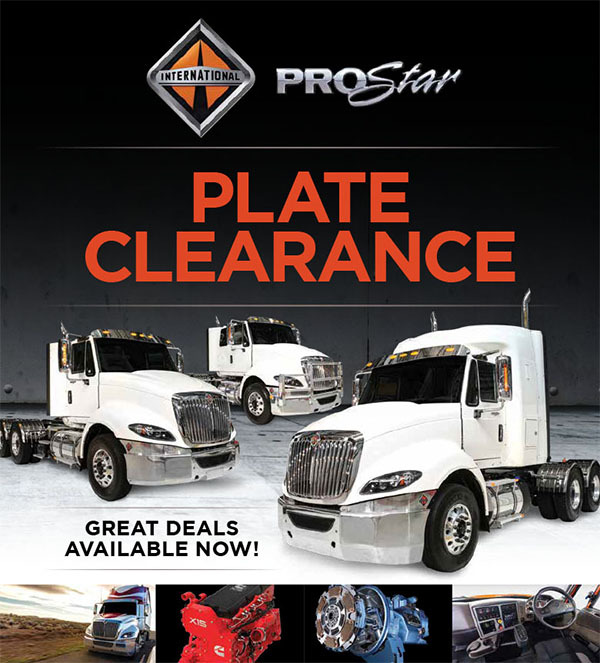 The INTERNATIONAL ProStar range offers outstanding performance and low operating costs, combined with the proven reliability of Cummins engines and Eaton transmissions. On offer are engine outputs of up to 600 hp and 2779 Nm across 'Day', 'Extended Cab' and 'Sleeper Cab' models, and GCMs of up to 90 tonnes, making ProStar ideal for Tipper and Dog, single trailer, B-Double and B-Triple applications. 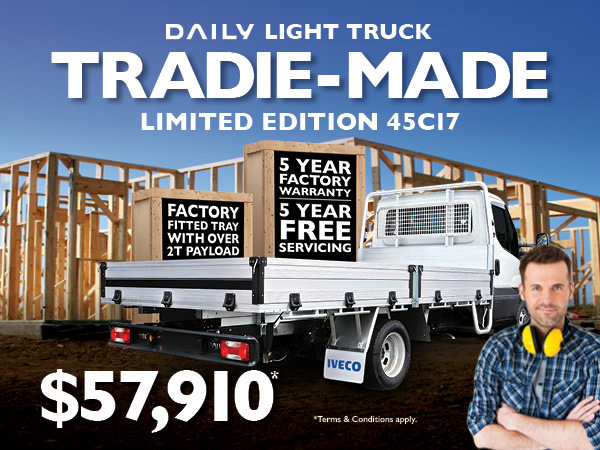 At only $59,990, time is well and truly running out to get behind the wheel of IVECO's Blue Edition Van - once they're gone, that's it! Commissioned to celebrate the Daily Blue Power being named 'International Van of the Year 2018', IVECO's limited edition 'Blue'-inspired model provides customers with extra benefits along with an eye-catching colour treatment. 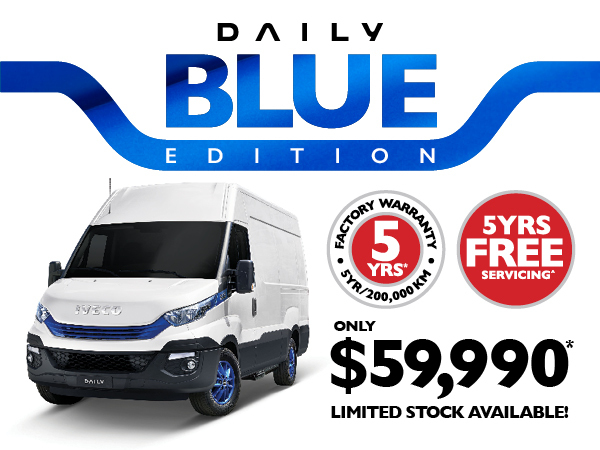 Available exclusively on the Daily 35S17 van (3520mm wheelbase and 12m3 van capacity), the Blue Edition provides the peace of mind of an extended 5 Year / 200,000 kilometre factory warranty. 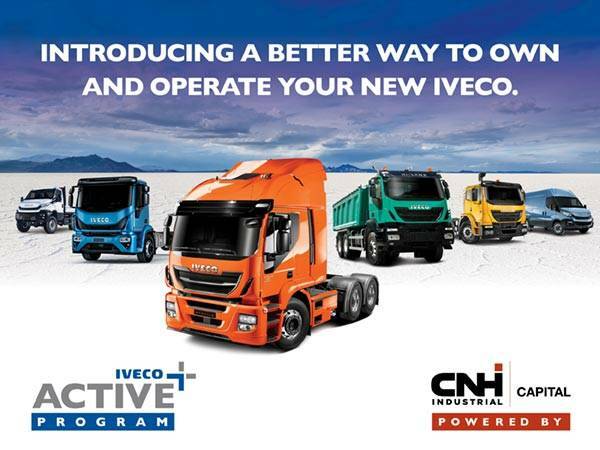 If the vehicle is financed through IVECO financier, CNH Industrial Capital, buyers will also receive 5 years / 200,000 kilometres of free scheduled servicing. Stunning appearance aside, the automatic transmission is coupled to IVECO's 3.0 litre turbodiesel engine which produces 170hp (130kW) of power and 430Nm of torque. Other standard features include the IVECONNECT multimedia system, a reversing buzzer and fog lamps. Also included is a suspended driver's seat with bench for two passengers and automatic climate control. On the safety front, the Daily Blue features the superior stopping power of front and rear disc brakes with ABS and IVECO 'ESP 9' safety program which includes Electronic Stability Program and a host of other active safety equipment. Passive safety features include four SRS Airbags. 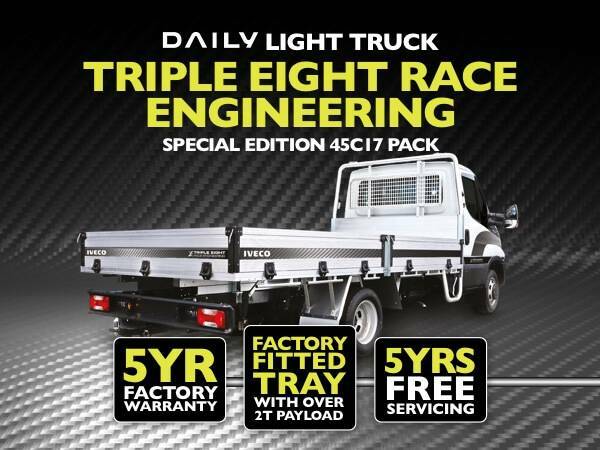 If you've outgrown your ute and are feeling a little racy, try IVECO's Special Edition Triple Eight Race Engineering Daily tray. With over two tonnes of payload it has much more carrying capacity than a traditional ute, but drives much more like a car than a truck - bonus! And for those with a equipment to tow, the Daily also boasts a 3.5 tonned braked towing capacity. 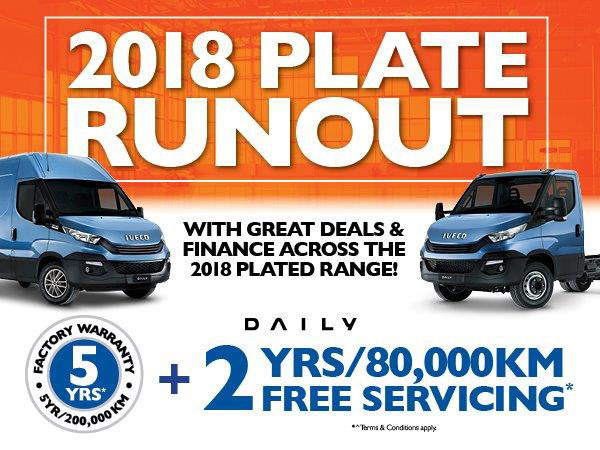 For just $57,950 plus on road costs, you also get a work-ready tray and accessories and the peace of mind of 5 year warranty and 5 years Free Servicing. Under the bonnet you'll find a powerful yet fuel efficient 3.0 litre turbodiesel engine with 170 horsepower (130 kW) and 430 Nm of torque. 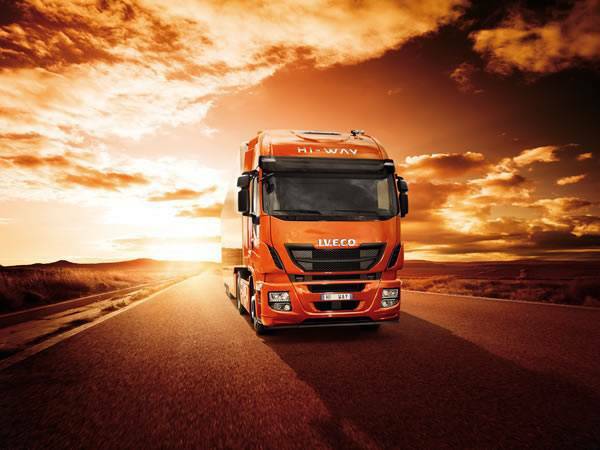 The engine is coupled to IVECO's market-leading 8-speed full automatic transmission which provides seamless power delivery, ultra-fast gear changes and a hassle-free driving experience. On the safety front, the Daily features the superior stopping power of front and rear disc brakes with ABS and Electronic Stability Program, while driver and passengers are also protected by four SRS airbags. Plus, you'll make your presence felt on the work site because the truck is finished in exclusive Triple Eight decals and comes with a Triple Eight Race Engineering merchandise pack. You'll also go into the draw to win tickets for two at the Vodafone Gold Coast 600 in the Triple Eight Race Engineering hospitality suite. The prize includes airfares, accommodation and transfers to the value of over $10,000. Race in to your local IVECO Dealer now. With an Australian-made, factory-fitted aluminum tray (external 2218mm W x 4223mm L), this limited edition Daily can be driven on a car licence and provides up to two tonnes of payload - it's an ideal upgrade from a traditional ute or dual cab 4x4. Buyers also get the peace of mind of a 5 year / 200,000 factory warranty and 5 years' free scheduled servicing***. Other benefits include the advanced safety of four airbags, ABS brakes with Electronic Brakeforce Distribution as well as Stability Control and Hill Start Aid, while keeping things comfy in the cabin is a driver's suspension seat with armrest, IVECONNECT Multimedia System with GPS and cruise control. Stock is limited so prospective buyers should visit Melbourne Truck Centre as soon as possible to organise a test drive. **Excludes on-road costs; offer not available to Government and fleet buyers. ***Based on standard scheduled servicing of 40,000 kilometers or 12 month intervals. Powered by the strength of CNH Industrial Capital, the finance division of Iveco trucks, your business can take delivery of a new Iveco with the convenience of one monthly lease covering both your new Iveco truck and scheduled servicing. For extra peace of mind, extended warranties are also available on top of Iveco's generous standard warranties. IVECO Trucks Australia is pleased to announce the release of the New Stralis AS-L Series II. The Active Space cab provides superior driver comfort and is now powered by the new Cursor 13 Series II engine. Improvements in driveability, engine life and a reduction in fuel consumption will give drivers and fleet operators even greater productivity. The Series II engine has gone through extensive testing and development to ensure it is reliable for Australian conditions. Over 1,000,000kms have been travelled in test vehicles delivering freight throughout Australia in B Double combinations. We have seen improvements in driveability by offering peak torque from 1000 rpm to 1700 rpm with a reduction in fuel consumption. Due to the flat torque range, trip times have remained constantly the same in comparison to the Series 1 engine programme. Vehicle speed when cresting hills has also not changed. In fact, the Engine now performs better than ever. 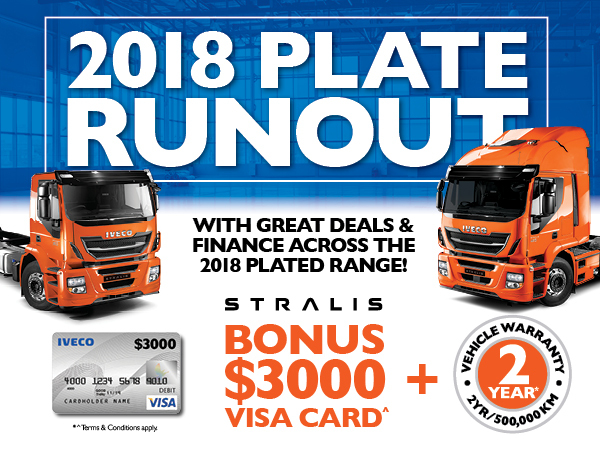 Such is our confidence with the Stralis AS-L Series II, IVECO Trucks Australia is pleased to offer an inclusive 5 year 1,000,000km engine warranty on all Stralis AS-L models, built with the Cursor 13 Series II engine. The flagship of the Stralis range, the AS-L, is suited to long haul jobs. It comes with a 2.3 metre wide and 2 metre long cab providing plenty of living and storage space. three rear axle ratio options.